Yesterday I went to the supermarket. Not so remarkable, perhaps. I do it occasionally in Scotland. It was a little different for me to do it on my own – and pay – in Bavaria. Of course sometimes I tag along when the ladies go, but usually its just to carry the heavy stuff and I don’t pay. Something had gone wrong in the Procurement Dept here this week, and I found there was no beer in the house. Excuses about work, teenagers to raise, shops being shut on Sundays (etc), but still. Women are all into (1) multi-tasking and (2) telling men they can’t do it. So excuses make those arguments look a little thin. Anyway, off I went with my shopping bag in my pocket. Now we’re getting to the point. €2.27 for the 3 bottles in the photo. Each 0.5 litre. Each with a €0.08 deposit, so €2.03 net. This was in a small local branch of (mid range) Edeka, not Aldi or one of the other discount places. The beer is local, and excellent quality. Hofmühl is from Eichstätt – 20 minutes away. Paulaner is one of the big Munich breweries. The Altmühtaler is from Treuchlingen, 40 minutes northwest of here. All brewed under protection of the Reinheitsgebot (beer purity law) of 1516. The hops are grown a few miles south of here. The Reinheitsgebot was passed here in Ingolstadt. The point? Yes, well a bottle of beer of that quality would have cost me about £2 in a Scottish supermarket. I could buy cheap rubbish of course – a case of Miller (brewed under licence in Burton on Trent) and tasting 99% chemical. I’m guessing that tax differences explain part of the price difference. But then Scottish microbreweries get tax breaks, don’t they? 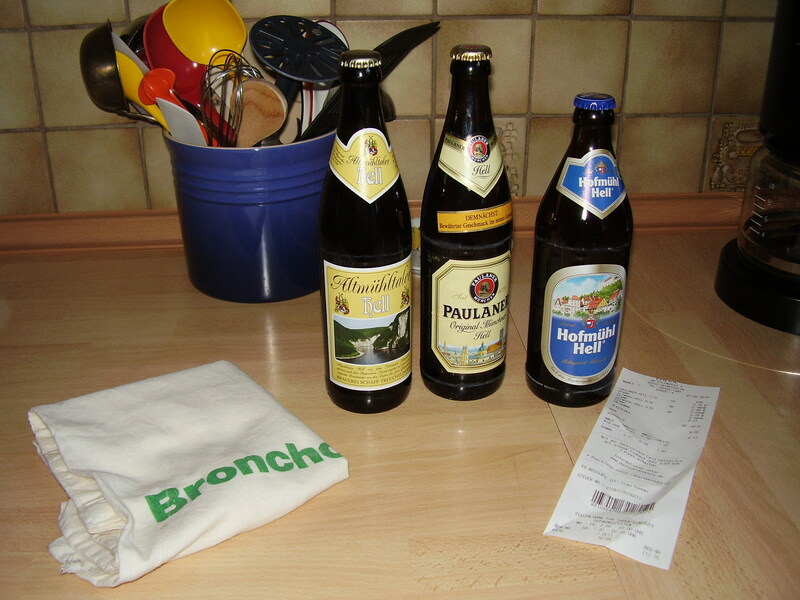 It’s not the only thing I notice as being cheaper in Germany than Scotland, but (obviously) one of the most important. 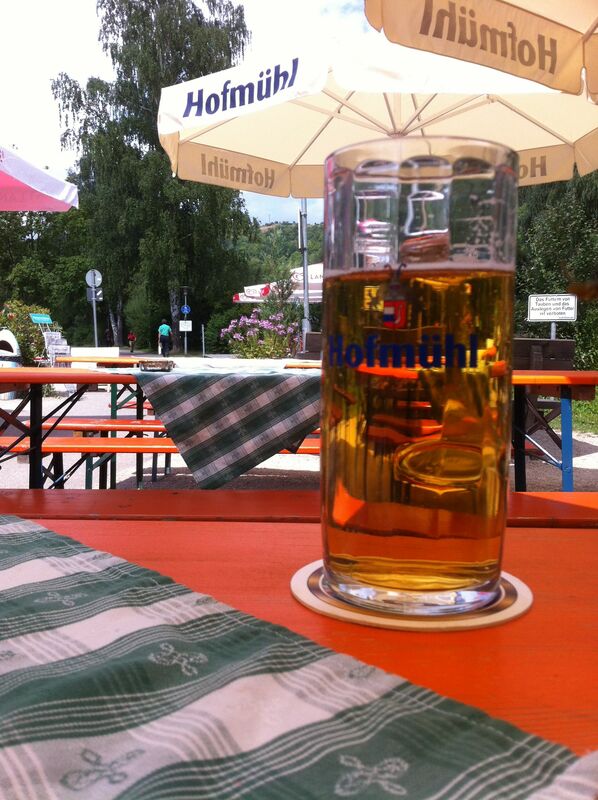 This entry was posted in Ingolstadt, Uncategorized and tagged Bavaria, beer. Bookmark the permalink.